Let's face it, you want your business gifts to have that special WOW factor! 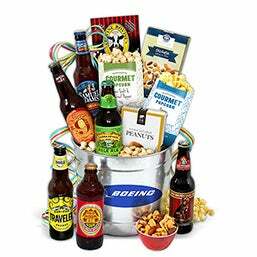 Adding your brand identity to one of our corporate themed gift baskets is easy. 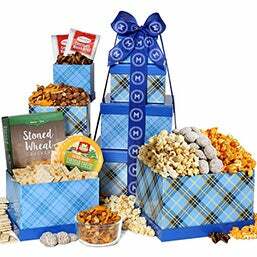 Call or contact one of our Corporate Gift Specialist today and they will share all the great ways you can create a lasting impression with your gifts order. 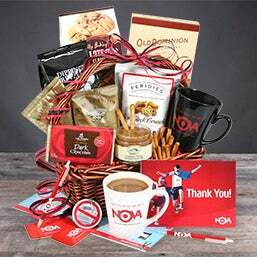 We provide a full range of options including, Personalized Greeting Cards, Custom Ribbon Printing and the inclusion of branded corporate items such as coffee mugs. 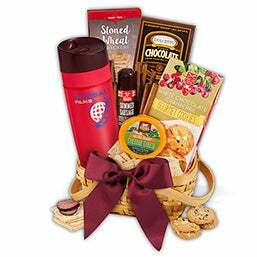 Rest assured, our customization options will ensure your business is expertly represented in the gift basket. 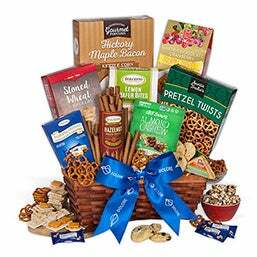 Here at GourmetGiftBaskets.com we believe every gift is special. Our Corporate Gift Specialist will help you in ensuring the product you send leaves a lasting impression.